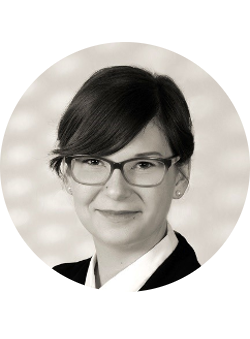 Christine Seidl studied Biomedical Chemistry at the Johannes Gutenberg University Mainz and graduated in 2018 (M.Sc.). During her master thesis, her research focused on the synthesis and characterization of polypept(o)ide based-cylindrical polymer brushes as trifunctional vaccines for cancer immunotherapy. Her current doctoral study is focused on the synthesis and characterization of tailored polypept(o)ide-based cylindrical polymer brushes as multifunctional drug delivery platform, which is pursued by the synthesis of various brush designs/morphologies, functionalization via in vivo click chemistry and immunoconjugation.